Managers, officers of financial institutions and corporations, Islamic financial planners and consultants, university lecturers and students, lawyers, investors and other related parties. To all Muslims all over the world : Eid Mubarak. May Allah accept our sacrifices. Let's sacrifice with a clean heart. Let's forgive each other too. 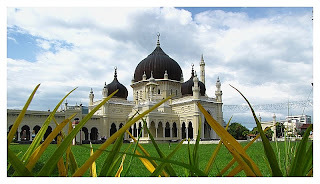 Note : the above is Masjid Zahir in Alor Setar (the capital city of my home state of Kedah, in the north of Malaysia). This 100-year old mosque is one of most beautiful mosques in the world. Islamic investing....best of both worlds. (The above courses or lectures can be delivered in English or Malay (Bahasa Malaysia/Indonesia). Rewards and Virtues of Surah Yasin, al Waqiah and Waqiah: "It has been said by our prominent scholars that one should be especially observant in reciting Surat Ya Sin (36), Surat al Waqia (56) and S..."
Reported by Imam Muslim, Abo-Dawod, Al-Nesaii, and Al-Termithi, that Prophet Mohammad (P.B.U.H.) 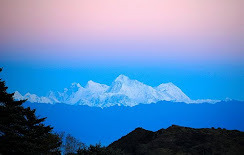 had said, "The best day during which the sun have risen is Friday. It is the Day Adam was created. It is the day when Adam entered paradise and also when he was taken out from it. 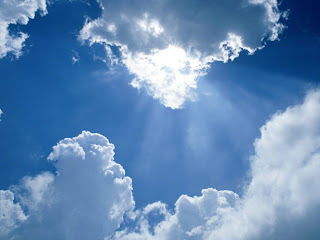 It is also the day on which the day of judgment takes place." Quranic verse : whatever good you do, (be sure) Allah knows it. And take a provision (with you) for the journey, but the best provision is At-Taqwa (piety, righteousness). Quranic verse : Help you one another in Al-Birr and At-Taqwa (virtue, righteousness and piety); but do not help one another in sin and transgression. KUALA LUMPUR - Over the past decade or so, Malaysia has quietly become the leading international player in Islamic finance and its gateway. The government of Malaysia, through its two principal agencies, Bank Negara (the central bank) and the Security Commission, has actively promoted Islamic finance. 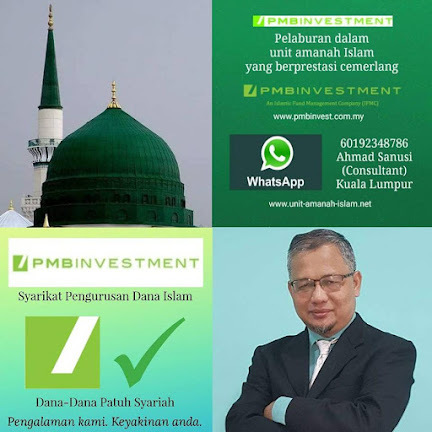 More specifically, Islamic finance has been given formal prominence in the Financial Sector Master Plan (FSMP) and the Capital Market Master Plan (CMP), which were initiated in Malaysia in 2001. Malaysia's achievements have been quite remarkable in developing market institutions and Islamic financial products, in boosting capital flows, and in establishing the country's dominant position in the world of Islamic finance; it has become the leading player in the global sukuk (Islamic bond) market and in developing innovative products in money markets, derivatives, and in liquidity management. The recent gathering of the Global Islamic Finance Forum 2010 (GIFF) in Kuala Lumpur under the auspices of Bank Negara is a further confirmation of Malaysia's continuing commitment to embracing and advancing Islamic finance. The emergence of Malaysia at the top of the international Islamic finance pyramid is by no means accidental. The country has one of the most advanced financial systems among emerging market economies. Its financial system has been liberalized and integrated into the global capital markets. Its advanced financial infrastructure, relative to all other Muslim countries, was supportive of Islamic financial innovation and development and establishing Malaysia as the dominant country in Islamic finance. Malaysia is an emerging market economy that has achieved sustained economic growth over a number of years and reached a high level of development. Its strong economic performance has been founded on efficient and relatively democratic institutions. Strong institutions, modern infrastructure, growing human capital and financial development, have all contributed to its emergence as the present force Islamic finance. In fact, two recent studies on the "Islamicity" of countries ranked Malaysia at the top of all 56 Muslim countries in the world. What is Islamic finance? What are its main foundations that make it supportive of financial stability, economic prosperity and social justice? Islamic finance draws its scaffolding from divine rules (the Quran and the life of the Prophet Mohammad) that embrace risk-sharing (profit and loss sharing) and ban risk shifting (debt that embodies interest), prohibit interest (riba), gambling, speculation, and any unjust appropriation of wealth, and make zakat (alms) a mandatory obligation for preserving an equitable distribution of income and social justice. Although debt is not forbidden, it has to be interest free, and hence debt plays a negligible role in Islamic finance. In its pure form, Islamic financial finance can be defined as a two-tier financial system, restricting commercial bank activities to (i) cash safekeeping, and (ii) investing client money as in a mutual fund. Banks accept deposits for safekeeping only (as for example in a system with 100% reserve requirement) and charge a fee for providing this service and for check-writing privileges. In their intermediation capacity, banks identify and analyze investment opportunities and offer them to clients; the bank charges a fee for this service, much as with a traditional investment bank. The bank does not assume any asset-liability risk on its balance sheet; instead, gains or losses accrue directly to client investors. However, the bank can at the same time invest its own equity capital in these and in other investment projects, as can its client investors. In such cases, the bank does not assume any asset-liability exposure, just a potential loss of some (not all or its multiple) of its capital, which does not endanger the bank's solvency. In other words, in this example of a financial system, there is no debt financing by institutions, only equity financing; and there is no risk shifting, only risk sharing. Banks do not create money as under a fractional reserve system. Financial institutions serve their traditional role as intermediaries between savers and investors but with no debt on their balance sheets, no leveraging and no predetermined interest rate payments as an obligation. Because of the structure of Islamic finance outlined above, it has received increasing attention in the aftermath of the global financial crisis that broke out in August 2007. It is considered as a more stable financial system, capable of promoting sustained growth of income and employment. Prohibiting interest and interest-debt contracts, Islamic finance eliminates money creation and destruction by the banking system through the credit multiplier; it establishes one-to-one mapping of financial and real sectors of the economy. That is, it is based on real trade and production activities. The financial sector cannot expand beyond the real economy, and is immune to un-backed credit expansion and speculation that are characteristics of conventional finance and have destabilized even the most sophisticated and complex financial systems. 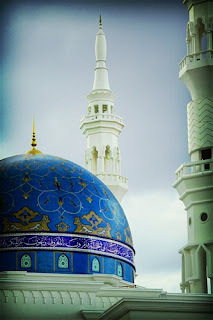 Islamic finance operates with one rate of return, which is the rate of profit. Conventional finance operates with two rates of return - the rate of interest and the rate of profit. The distortion between these two rates and the destabilizing effect on credit and prices were extensively analyzed by Thornton (1802) and Wicksell (1898). Its modern form is known as the "equity premium", namely the return on equities exceeds the rate of interest by about 6%-12%, depending on markets and time-periods. Proposals along these lines are not new. Financial systems in some such form or other have been practiced throughout recorded history. Recently, such an approach was recommended in the "Chicago Plan". This reform plan was formulated in a memorandum written in 1933 by a group of renowned Chicago professors, including Henry Simons, Frank Knight, Aaron Director, Garfield Cox, Lloyd Mints, Henry Schultz, Paul Douglas and A G Hart, and was forcefully advocated and supported by the noted Yale University professor Irving Fisher. Fisher wrote: "I have come to believe that that plan is incomparably the best proposal ever offered for speedily and permanently solving the problem of depressions; for it would remove the chief cause of both booms and depressions." Were we really serious about fixing our financial system, there's a very simple alternative - Limited Purpose Banking. LPB would transform all financial intermediaries with limited liability into mutual fund companies. Under LPB a single regulatory agency - the "Federal Financial Authority" - would organize the independent rating, verification, custody and full disclosure of all securities held by the mutual funds. Voila, by dint of competition and transparency, "liar loans", off-balance sheet gimmickry, and toxic assets would all disappear. LPB would let the financial sector do only what Main Street needs it to do - connect lenders to borrowers and savers to investors. The financial sector's job is not to take taxpayers to the casino and collect the winnings. Recurrent financial crises in recent and distant pasts have established the fact that conventional finance needs support or is doomed to significant instability and potential collapse. Conventional banking needs a central bank as lender of last resort, deposit insurance and bailouts from government. Conventional finance can be socially unjust; it creates money out of thin air, called "counterfeiting" by Maurice Allais, and enables borrowers to acquire free wealth. It is inflationary and it extols an inflation tax. The US Fed has as one of its two main objectives price stability; yet the US dollar in 2010 has less than 5% of its real purchasing power of 1920. Experiences of hyperinflation in Germany and Latin America demonstrate how economies have been ruined by inflation. During the 19th and 20th centuries, conventional finance caused increasing social inequities, resulting in the emergence of powerful labor unions to defend real incomes against the rapid erosion caused by inflation that is rooted in fiat-based conventional finance. Over the last 40 years, some of the growing disparity in income and wealth in the United States is attributable to finance. Conventional finance has been accompanied by high uncertainty, exchange rates instability, competitive devaluations and beggar-thy neighbor policies that are detrimental to foreign trade. John Maynard Keynes (1936) likened asset and commodity markets to a casino. In 2010, the price of gold hit $1,284/ounce; it was $35/ounce in 1971. The price of oil hit $147/barrel in 2008; it was $2/barrel in 1971. Reserve currency countries have been trying to resolve the current financial crisis using the same policies that led to the crisis in the first place; namely, forcing interest rates to near-zero, printing money out of thin-air to inflate their way out of the crisis, forcing more debt, and increasing fiscal deficits. Islamic finance is essentially immune to financial crises, inflation, and factor price distortions. There is no wealth redistribution via debt and inflation. Investment is based solely on equity financing. Zakat (alms) is mandatory and helps to eliminate the need for borrowing by the poor. Islamic finance does not orient resources to consumption, as one cannot finance consumption by resorting to debt, and instead it orients them to investment and accelerates the process of capital accumulation. Demand and supply grow in harmony; namely, demand cannot be inflated through debt creation. There is no credit expansion that triggers asset bubbles. The economic growth path is sustainable, steady, and does not gyrate as in conventional finance. Full-employment is preserved. The only possible shortcoming of Islamic finance is the unproven contention that conventional finance is more supportive of economic growth. This, however, is an empirical point that must be assessed over a long period, assessing growth over cycles of booms and busts. Because of the attractive features of Islamic finance, Malaysia has positioned itself as an Islamic investment gateway to the world, with a niche in Islamic fund and wealth management. 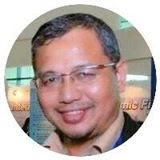 The comprehensive Islamic financial system developed by Malaysia operates in parallel with the conventional financial system and includes banking and takaful (Islamic insurance) components, and Islamic money and capital markets. Following the development of a robust and vibrant domestic market, there are now initiatives under way to raise the international profile of the Malaysian Islamic financial system. 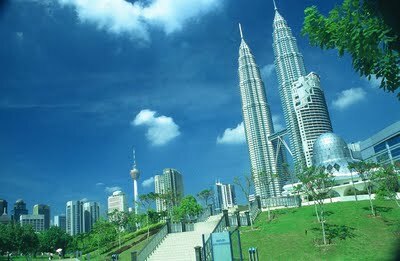 These include a wide range of liberalization measures that include attracting foreign entities in the field of Islamic finance to Malaysia system by issuing new licenses - including to Islamic fund management companies - and allowing for greater percentage of foreign ownership in Malaysian domestic financial institutions. Liberalization has also involved the potential for greater foreign participation in Malaysia's conventional domestic financial markets. Islamic banking has also spurred efforts by non-bank financial intermediaries, such as the development financial institutions, savings institutions, and housing credit institutions, to introduce Islamic schemes and instruments to meet their customer demands. In addition, the capital market has seen the rapid growth of sukuks and equity markets. 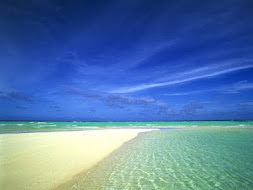 To complement these developments, the Labuan Offshore Financial Center has embarked on a serious effort to establish an International Islamic Financial Market to stimulate the creation of liquidity and financial instruments as well as to enhance investment opportunities aimed at greater mobilization of Islamic funds. The number of Shariah-compliant securities on Bursa Malaysia was 847 in May 2010, representing 88% of the total listed securities and 63.8% of the total market capitalization. The FTSE Hijrah Shariah index and the FTSE Bursa Malaysia EMAS Shariah index provide a broad benchmark for Shariah-compliant investments. These indices are designed for investors who wish to invest in Shariah-compliant stocks. 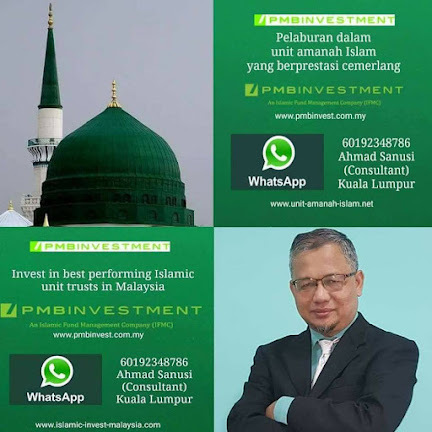 Islamic funds include unit trust funds (UTF), which are Islamic equity funds, and mutual funds (sukuks and other Sharia-compliant securities), real estate investment trusts (REITs), venture capital funds, and exchange traded funds (ETFs). As of June 2010, there were 156 approved Islamic funds. Sukuks are structured securities and most financing deals have been structured along the concepts of Murabahah (where the seller informs the buyer of a commodity the cost that has been incurred on the commodity and adds that as a known mark-up in the sale); Ijarah (lease or rent) and Bai' Bithaman Ajil (sale of goods on a deferred payment basis). To sustain the tax competitiveness of Malaysia's Islamic capital market, the government has extended tax deductions on sukuk issuance expenses. It has also established a financial guarantee institution to provide credit enhancements for sukuks, which would increase the creditworthiness of these and reduce the time required to place new issues. Malaysia's position as a center of innovation was reinforced with the launching of the world's first Shariah-based commodity trading platform, Bursa Suq Al-Sila, in 2009. This was a collaborative effort of the Security Commission, Bank Negara Malaysia, and Bursa Malaysia and was supported by the Malaysian Palm Oil Board, the Malaysian Palm Oil Association and the Malaysian Palm Oil Council. Malaysia has made Islamic finance a priority and placed it at the center of its financial and capital market development plans. The decision to accelerate the development of Islamic finance was a reasoned one to promote future financial stability and sustained growth, in contrast to the financial crisis that the country experienced under the conventional financial in 1997-98. 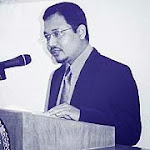 Moreover, as Islamic finance is growing rapidly the world over and can be expected to do so in the foreseable future in part because of rising oil revenues, Malaysia is well positioned to become the combined New York and London of Islamic finance, a position that it should maintain and solidify for years to come. Hossein Askari is professor of international business and international affairs at George Washington University andNoureddine Krichene, who has a PhD from UCLA, is professor of finance at INCEIF in Kuala Lumpur.